A new public perspective and perhaps public outreach opportunity is offered by Gail Miller Bisher, the Director of Communications for Westminster Kennel Club, in this episode of Pure Dog Talk. 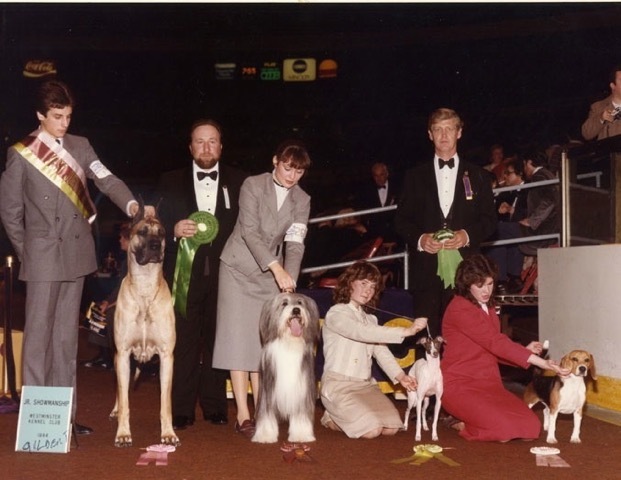 Winning Westminster Dog Show, or affectionately known as, the Garden, has been the dream of many breeders and exhibitors. Any change to the perceived purity of the "Garden" may be met with resistance from the sport. But as we listen to Gail Bisher, consider this... Westminster has the public's eyes and ears. Who better than Westminster to be the positive voice, to bring heartwarming stories of the love and dedication of our purebred dogs and fanciers. While the Garden will always be... the Garden, maybe the show of shows has a greater role to play. Gail Miller Bisher (pronounced By-sher) is a second-generation dog person with more than 35 years of experience in the sport as a handler, breeder, trainer, writer and spokesperson. As with many exhibitors in the sport, her experience started as a family affair. Bisher was a team with her parents. While they handled most of the breeding (and her mother was a parent club president for many years) Gail did the grooming, training, conditioning and handling. In addition to conformation, she has earned titles on dogs in obedience, rally, advanced CGC and earthdog. Bisher handled her first dog to its championship when she was just 12 years old. From her WD win at the first BCCA Specialty in 1979, she continued to handle her dogs and clients’ dogs to National Specialty BOB and BOS and All-Breed Best in Show wins, numerous top ranked positions and Junior Showmanship history. 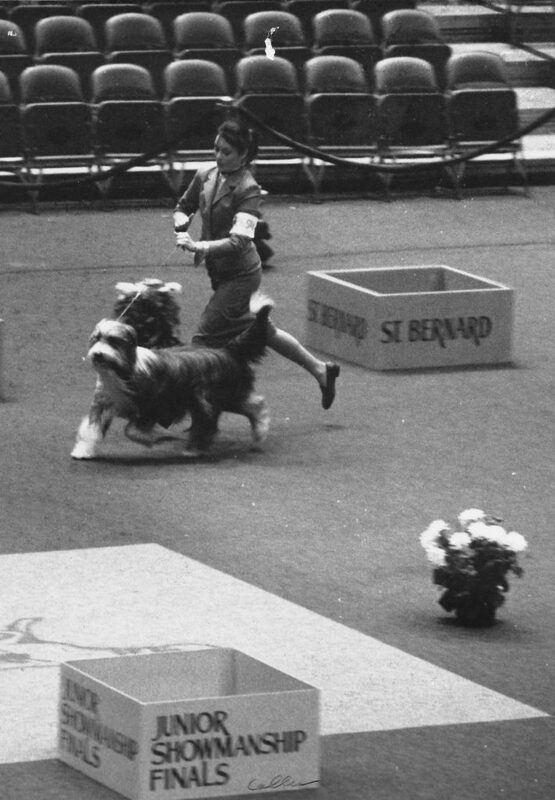 Gail was the first junior handler to qualify for the Westminster Kennel Club’s Junior Showmanship competition with a Beardie and the first to place, capturing second. Since 1988 she has been judging regional specialties and supported entries and now is an AKC-licensed judge of Bearded Collies, Shetland Sheepdogs and Junior Showmanship competition. In 2015 she judged the BCCA National Specialty. Although time does not allow for much other than a limited number of judging assignments while raising her daughter, Gail has stayed involved by earning four titles each on both of her miniature dachshunds, who recently passed away. Her club work includes serving the BCCA as a former breed columnist and club-approved breed mentor, specialty conformation chairperson and she is currently the club historian. Additionally, she is a member of the Dachshund Club of America, Morris & Essex, Greenwich Kennel Club and the Dog Writers Association of America. She has nearly 10 years of experience directing the marketing, brand development and public relations for the American Kennel Club and Webvet.com. 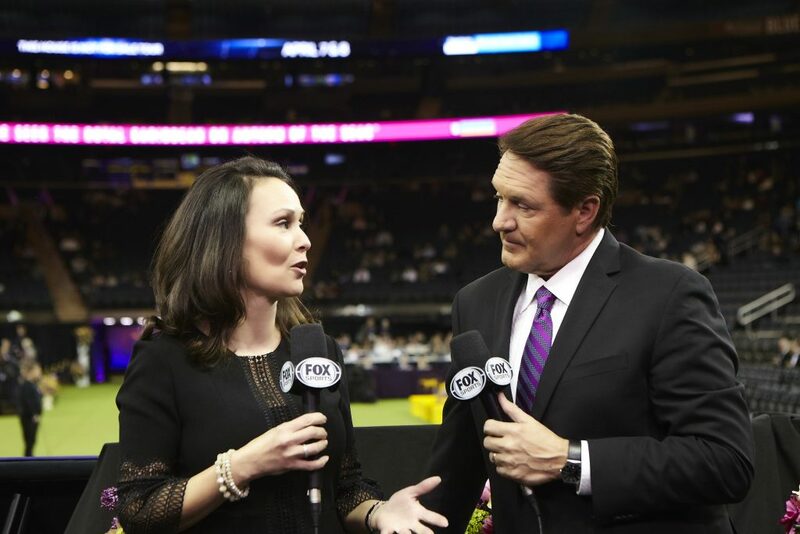 In 2003 AKC hired her to be an on-air spokesperson appearing on national media outlets to promote the sport and purebred dogs. Bisher credits her Junior Showmanship experience for creating the foundation for a successful professional career where she has gained recognition in advertising, marketing and the public relations industries. She is a Clio and Mobius Award winning broadcast producer with 12 years of experience in the advertising industry; has managed licensing programs to LIMA awards and produced a TV PSA that was featured on America’s Funniest Commercials. Additionally, she is an ACE-certified personal trainer, has earned a Master of Arts degree in Communications and created the Super Fit Fido Club to educate pet dog owners about the importance of canine fitness.